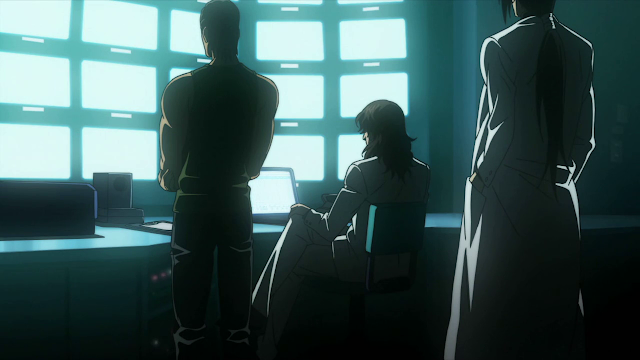 You know this anime is going to epic when you see lab coats, many monitor screens and laser beams from rachets. You might be wondering has the cast changed? 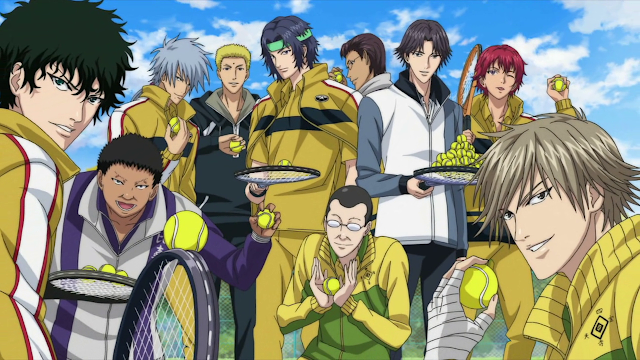 Well, all the characters you love from the previous series are here. I think. There’s 50 middle schoolers so I’m assuming that’s everyone from the previous series. Of course this boy is in! Whatever his name is. 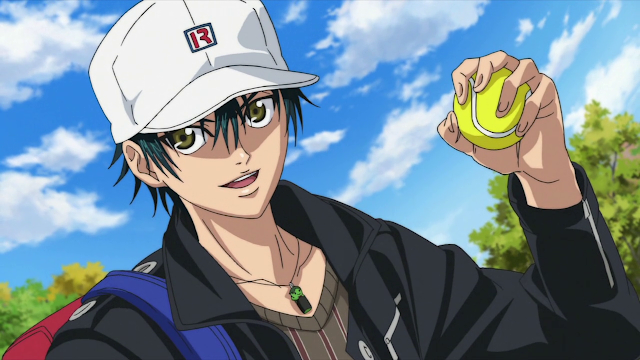 All i know he is the main character and he can play tennis with either hands. I think. I don’t remember much from the previous series. I mean i did catch a bit of it when it was aired on tv. But i didn’t like it that much. 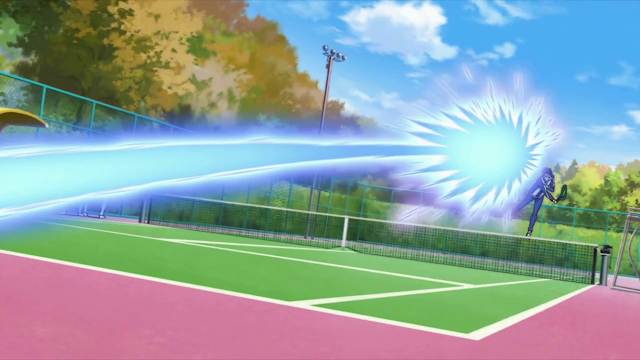 Partly due to the lame english dubbing. Would i follow through this series? Maybe. But from the looks of it, there are 200 high schoolers and 50 middle schoolers, This will be a very long anime. Just imagine how many match must they go through before they go for tournaments? Even if they head for tournaments… God knows how many matches they need to go through as well!